There were a couple of interesting stories that caught my eye in the international news lately. The first, from U.K.'s The Telegraph reported that the British government was asking academics and others at England's universities to look out for students falling under the influence of radical Islamic preachers. The University and College Union, which represents the academics, has labeled such actions as a "witch hunt" and will ask its members to refuse to take part in the proceedings. The UCU states, "Islamophobia and the attempts at increased surveillance on Muslim communities are not only encouraging racist and xenophobic tendencies in Britain but are also leading to measures that threaten civil liberties" according to the article. Interestingly, The Telegraph's competition, the Times had reported the day before that 1,000 Muslims were legally practicing polygamy within the borders of the U.K. According to The Times, "Under British law, husbands and wives can have only one spouse at a time. Multiple simultaneous marriages constitute bigamy, a criminal offence." Britain's official position is to dissuade multiple marriages by only allowing entry into the country only one wife of a husband. However, other wives may enter separately through a student visas and other means. Adding to the problem is the fact that some Muslim communities within the U.K. hold unrecognized polygamous marriage ceremonies, so the true extent of polygamous marriages cannot be clearly ascertained. Polygamy is a big concern for Britain, because families receive a housing allowance from the government based on the dependents in the house and if a husband has multiple wives, the family receives a larger allowance. But, that's not the only concern. Polygamy is illegal in western cultures because it is recognized as being inherently dangerous to women – putting all the power in the relationship within the control of the husband. Many marriages are arranged without the wife's consent and there is a real danger of unpleasing wives being abandoned by the husband, with no protections for her continuing welfare. "The Government has no grip on the situation," said Humphrey Malins, the former Shadow Home Affairs Minister and founder of the Immigration Advisory Service. "This is quite clearly exploitation of women." I note these facts to show the continuing dichotomy in thinking among those whose worldview is based on relativism. 51 people were killed in London by an indigenous Islamic terror cell in 2005. The British government is understandably uneasy about Islamic leaders who are promoting violence as an answer to what they perceive as threats against their religion, yet Britain's academic community feels that this would cause undue bigotry against what may be innocent followers of Islam. However, when a true moral concern such as polygamy is the focus, the concern over whether the individual's welfare is being harmed, in this case the woman's, their protection is secondary to the civil liberties of the community as a whole. You can see how relativism begins to really confuse the conception of morality. Since there is no consistent application of standards, protecting the possible persecution of an individual is held in one instance, but disregarded in another. Of course, the Islamic community doesn't suffer a similar confusion. Islam teaches an absolute morality. We see this most clearly in the third news story I saw, this time from the Jerusalem Post. The story tells of how a man was arrested in Mecca this week. His crime? He was a believing Christian in a city so holy only Muslims are allowed entry to it. 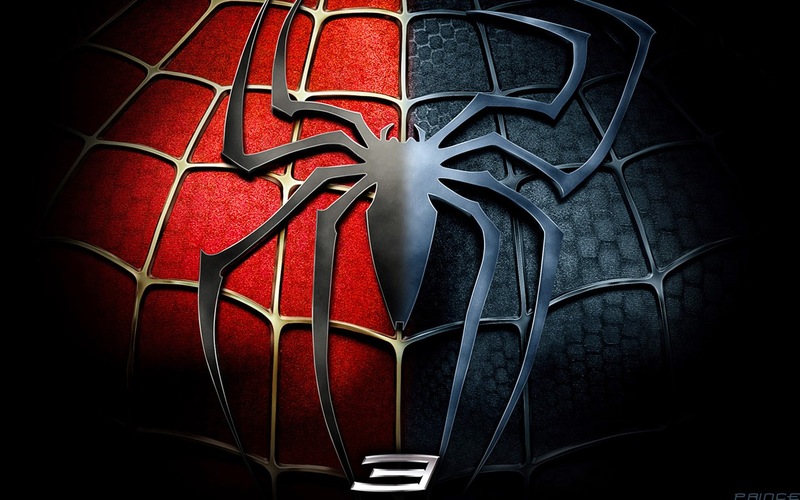 I took my family to see Spider-Man 3 this weekend – along with half the industrialized world, as it turns out. Now, there have been spates of super hero movies as of late, with Superman Returns, Batman Begins, The Fantastic Four, X-Men I, II, and III, not to mention the NBC series Heroes. Many of these modern films felt they had to update the superhero genre in order to appeal to a "more sophisticated, modern audience". Many were worried that Superman was too much of a "Boy Scout" for the modern era. So director Bryan Singer makes Superman a little more self-absorbed and brooding. And of course, the movie ends with the revelation that Superman has an illegitimate child – some boy scout! In contrast, Spider-Man 3 is different. Although there were some sappy elements, I was struck by the marked undercurrent of Judeo-Christian values in the film. The film opens with Spider-Man reveling in the fact that he has become a pop-culture celebrity, and Peter Parker lets all the fame and adulation go straight to his head. But the main focus of the film is how one can let their darker feelings control them or they can choose to overcome them. Regardless of circumstances (symbiote or not), ultimately each person is in control of their own actions and feelings. In a culture where we are all victims, blaming our culture, economic status, or even the pressure of everyday life ("you just don’t know what I’m going though!! "), it was refreshing to see on screen someone who says none of that matters – I still am the one responsible for my own actions. When Superman Returns was released last summer, many reviewers caught the not-so-subtle symbolism of Superman as a type of Christ. Singer decided to lay on the mythic elements of a savior since he is the only son of Krypton and he goes away for a while, only to return. However, Singer, being raised a "secular Jewish kid" really got a lot wrong. The new Spider-man really comes much closer to a Christian worldview in that it shows we all have a dark side, we all need to mind it, and everyone needs help. The vulnerability of Peter Parker shows how much all of us, no matter how super we are, are in need of a true Savior.